In December 2012, I wrote a blogpost about my 2012 travels and thought what might 2013 offer. Our life is full of uncertainties. We don’t know what lies ahead. So we can only dream of and plan, but still we don’t know what tomorrow will bring. It was just as if yesterday when I was writing my 2013 travel plans. Time flew so fast. As I was planning my 2013 travels back then, I was so excited-so excited of the travels that I planned. Planning is really part of the happiness of travels. The excitement, the anticipation and imagination of your future trips surely invoke happiness. Now it's time to look back on what this year has brought. God is so good. Even though some of my plans weren't realized, yet He gave me travels that weren't in my plans. Even an all-expense paid international travel. Life is indeed unpredictable, but we are confident that God is always there and will guide us and bless us, and shower us with bountiful blessings. In 2013, I have visited 4 countries and 5 Thai provinces. Yes, I am living in Bangkok, but I still consider myself a tourist, a foreigner. So every experience here, I consider a travel experience as this is a foreign land to me. Although I can say, Thailand is my second home. I explored more of Bangkok this time. From temples, restaurants, cafés, malls, streets. I’m glad I have explored Bangkok before leaving it soon. A formula 1 weekend-one of the most memorable weekends in my life, It was a dream come true. I even met my favorite f1 driver, Kimi Raikkonen. ASEAN Blogger Festival in Surakarta, Indonesia plus a trip to Yogyakarta staying the backpacker’s district called Marioboro and exploring UNESCO World Heritage site Borobudur temple. Airfare, hotel accommodation, meals, tours in central java, were all paid by our sponsors, US Mission to ASEAN and Garuda Indonesia. It was so nice flying in a 4-star flag carrier from Bangkok to Jakarta and to Surakarta, staying in a 4-star hotel for free! It was a great opportunity to meet bloggers across Southeast Asia. Thank you so much sponsors. My batch Klement in Thailand took the opportunity of the long weekend due to a Buddhist lent celebration and stayed in my place in Bangkok for a get-together. We then explored the ancient city of Ayutthaya, also a UNESCO World Heritage site in the province of Ayutthaya. A city 1 hour from Bangkok, it is where the world’s tallest stupa and one of the most important religious infrastructures in Thailand is located. 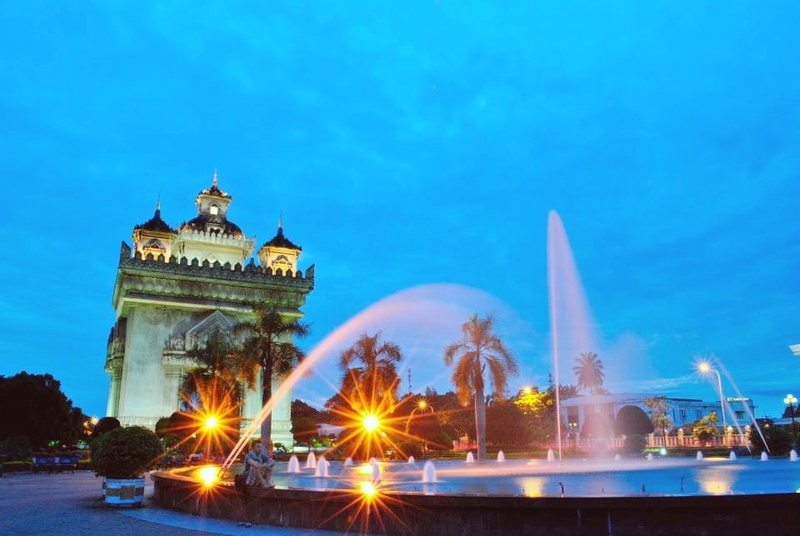 It also has an ancient palace called Sanam Chandra, the rest house of the king of Thailand before. My Klement friends explored the northernmost province of Thailand. We went there to attend one of our classmate’s wedding. We went to the Golden Triangle in Chiang Saen and also visited Wat Rong Khun (White Temple), one of the most amazing temples in the world. We hired a van from Bangkok. It was a 12-hour drive. It was a happy moment-an epic road trip. The land of the kings, this province is 2-hour drive from Bangkok. Maeklong river flows through it. It is an opportunity for me to experience Thai rural living. Visa run to this Cambodian border near the Thai province of Chantaburi. Awesome scenery can be seen along the mountainous road. And as what most Filipinos do upon reaching the border, I ate lots of balut as it is available in the kingdom of Cambodia and nowhere to be found in the kingdom of Thailand. Balut time! so delicious. One of my favorite food, balut. It's very delicious! Believe me. 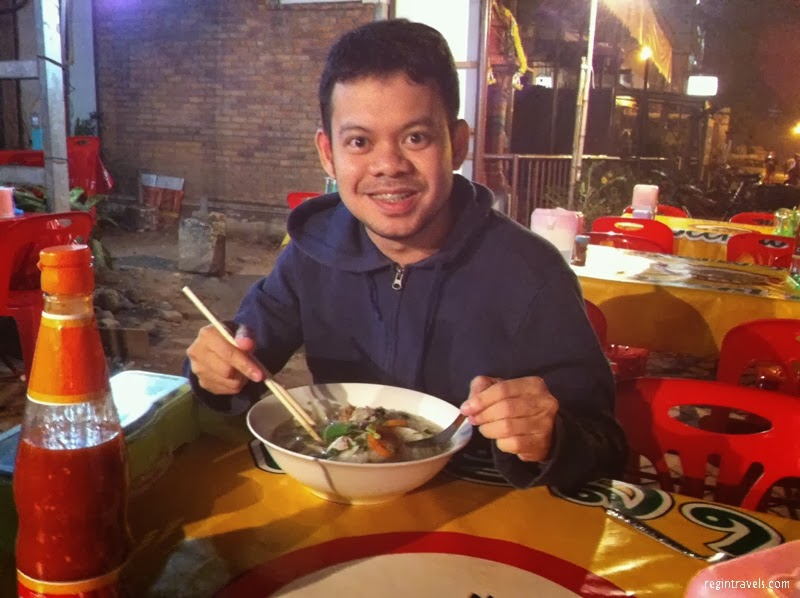 Eating it Khmer style. One of my favorite cities in Asia, I never get tired of Vientiane. This time, I made lots of friends, both Filipinos and foreigners and ate lots of Lao food. 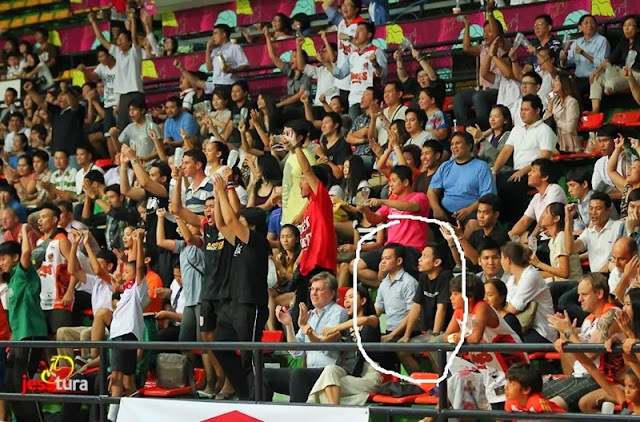 Apart for my travels, I also had a wonderful time in Bangkok watching a lot of live ABL games this year with my friends and even playing with Thailand Slammers star Filipino Froilan Baguion. And to wrap up 2013, I was named by Southeast Asia Backpacker magazine as one of the 50 Inspiring Travel Bloggers of 2013. So that has been my year. Praise God for His mercies endure forever. 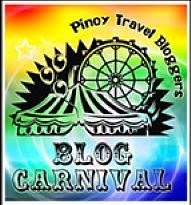 This is a PinoyTravel Bloggers' Blog Carnival entry for December 2013. "The Pinoy Travel Bloggers Closing the Curtains on 2013: Love, Learn and Living" as hosted by Brenna Bustamante of The Philippine Travelogue. Hahaha... Hope to see you again Claire. Regin, where the other girls? Lol! See you in March before you embark on the land of my ancestors. Haha... Happy new year Pau. Amazing post do! I love your travels and photos. God bless you always do in all your plans! Wow..dame mo na napuntahan sir. Sana this here, hopefully matuloy na ko mkpapunta ng thailand. Sir Regin, sa lahat ng napuntahan niya sa Asia, where do you think you will comeback over and over again? I'll never get tired of Thailand, Laos, and Cambodia. Cheap goods and services, intact culture, friendly people, and wonderful scenery.